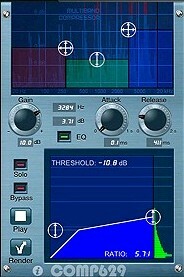 Equalizer – Equalize your music by setting gain or cut on up to 7 frequency bands. 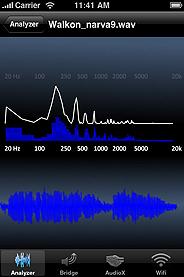 Reverb – Add reverberation to your music. Simulate small intimate rooms or large concert halls. Record your music via built-in microphone. 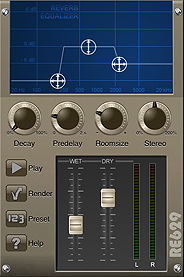 Compressor – Multi-band Compressor brings your audio track to life, adding impact and character to bass, drums and an entire mix. AudioView – Audio organizer and analytic tool for mobile music makers and everybody wanting to visualize their music. 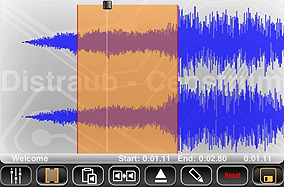 Reforge – The Swiss army knife for audio files on iPad®. Edit the waveform directly just by touching it. Set selections to copy and paste within the files or even paste from another file. 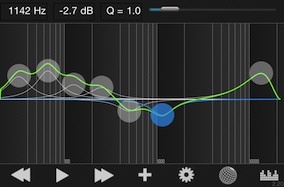 AudioForge – Envelope based audio editor for iPhone®.